On Sunday, July 16th the Catholic Church universally, and in particular, the Marian Congregation (priests,brothers and lay) commemorate the 30th Anniversary of the Beatification of Marian Archbishop Jurgis Matulaitis, MIC. Nativity of the Blessed Virgin Mary Shrine Parish in Chicago’s Marquette Park community will join with other Lithuanian parishes throughout the world in prayer for the canonization of this saintly man; the Second Founder of the Marian Congregation of the Immaculate Conception. His ministry here in Chicago is still alive and well on the Marian Campus in the West Lawn community; where the Lithuanian newspaper DRAUGAS is still published…please join us this weekend at the 11am Solemn Mass as we pray for his eventual canonization. Nativity BVM is located at 2700 West Lithuanian Plaza Court; 773-776-4600. On 11 March 1990, the Supreme Council of the Republic of Lithuania adopted an Act on the Restoration of an Independent State of Lithuania. On Friday, January 27th the Catholic Church universally, and in particular, the Lithuanian hierarchy commemorate the Memorial of Marian Archbishop Jurgis Matulaitis, MIC. 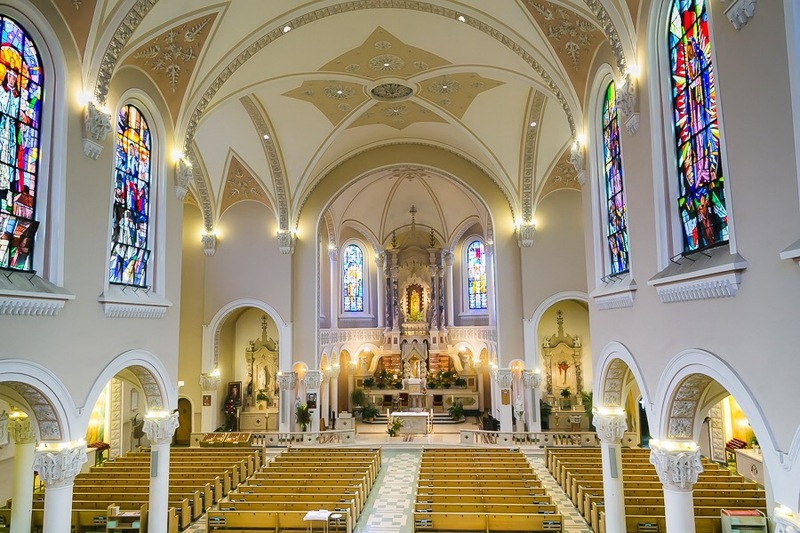 Nativity of the Blessed Virgin Mary Shrine Parish in Chicago’s Marquette Park community will join with other Lithuanian parishes throughout the world in prayer for the canonization of this saintly man; the Second Founder of the Marian Congregation of the Immaculate Conception. His ministry here in Chicago is still alive and well on the Marian Campus in the West Lawn community; where the Lithuanian newspaper DRAUGAS is still published…please join us this weekend at the 11am Solemn Mass as we pray for his eventual canonization. When he came to the Archdiocese he reorganized the curia (pastoral center) and installed a chief financial officer, who happens to be a woman with a track record of financial acumen. This was a good start to place the archdiocese in the right direction. 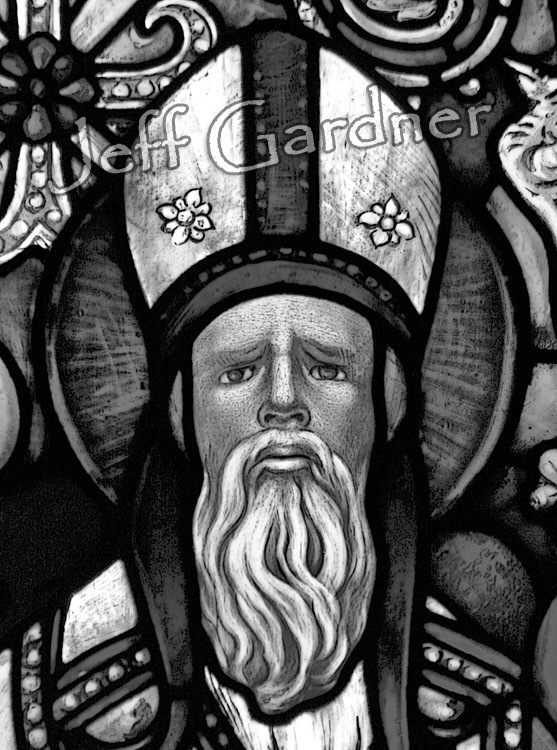 He did not do what Joseph Cardinal Bernadin and Monsignor George Sarauskas did some years back and closed without discussion @80 parishes; including our beloved Saint George parish in the Bridgeport community. Archbishop Cupich and Bishop Wypych are approaching this in a very logical way together with their staffs; and most importantly with the parishes, shrines and missions. To be brief, the plan Archbishop Cupich has presented is for the ministry sites to gather in small groups. They should review their sacramentals; ministry programs and outreach in terms of evangelization, including their budgets and physical structures. During these discussions the strengths and weakness will be identified and addressed; there might be a consolidation effort or a parish expanding to establish a mission. Now this brings me to my concern; Nativity of the Blessed Virgin Mary parish, a national shrine to Our Lady of Siluva; an established shrine to Blessed Archbishop Jurgis Matulaitis, MIC. Working together is very important and this was recognized early by the Archbishop; his curia and our regional Bishop Andrew Wypych. Nativity BVM is the only Lithuanian Catholic parish in the Chicago archdiocese and the Chicagoland area. 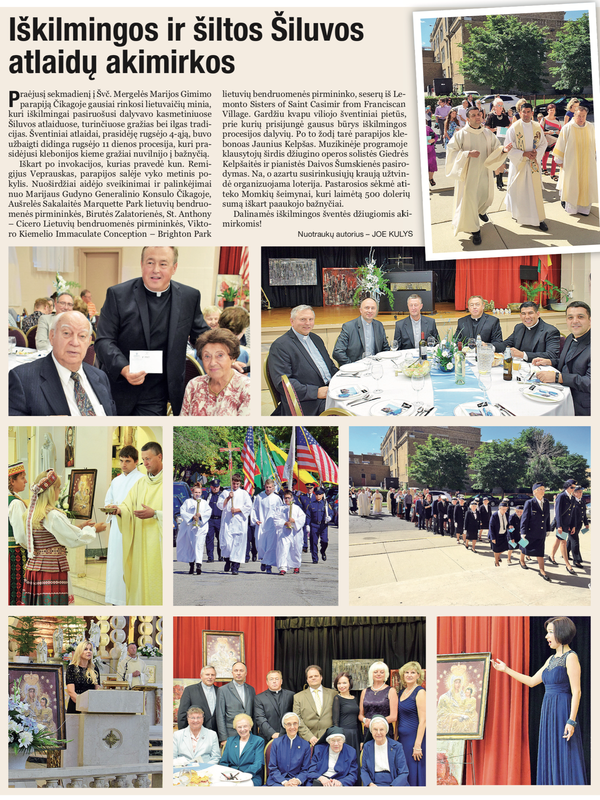 There are two other parishes which have a Lithuanian language Mass; but their ministry, programs and evegelization extends to other ethnic groups; remembering always to include a Mass in the American language. An English Mass is also celebrated at Nativity BVM in Chicago’s Marquette Park community. As demographics have changed; the Lithuanian community had requested of the archdiocese to rent a small facility in the former Vincentian Fathers seminary; which is now known at the Lemont Lithuanian Center.This facility would not be owned by the archdiocese; a priest would be invited that would celebrate Mass and administer the sacraments. With reluctance this was granted. The first option was always to attend the local parish. In Lemont, there are three parishes: Saint Patrick; Saint Alphonsus; and Saints Cyril and Methodius. Recently, the archdiocese seeing the uniqueness of the only Lithuanian Catholic parish in Chicago; and a mission with it’s intent to evangelize the suburban Lithuanian community; offered the pastor of Nativity BVM and the Chaplain of Blessed Jurgis Matulaitis, MIC Mission an opportunity to group together. This grouping would provide them an opportunity to examine their compliance with the Archdiocese’s Renew My Church program. Something we must always remember is that with a parish like Nativity BVM there are strict financial safeguards. These safeguards would include the process for depositing of monies received for Masses, funerals, weddings and any bequests made to the parish. There is also need for an active parish life during the week with many of the organizations such as the Legion of Mary, Holy Name Society, and the parish council meeting on a regular basis. This year we are graced with an additional source of revenue with the leasing of our school and gymnasium to Amandla College Prep, a state funded charter school bringing together 347 students and 30 teachers. This will allow us to balance our budget and totally payout the remaining indebtedness. In these recent years, we have to applaud our pastor, Rev Jaunius Kelpsas for bringing an increase in first communicants and the confirmed. A dramatic increase in couples entering into sacramental marriage; with the assistance in pre cana by Dr Linas and Rima Sidrys. This has led to an increase in registered parishioners and Mass attendance. This coming Sunday, September 11th over 1,200 will attending the Solemn Mass and closing of nine days of prayer to Our Lady of Siluva. Joining our parish priests will be the Marian Fathers of the Immaculate Conception. We are hoping that our sisters and brothers at the Lemont Catholic mission will join us for this happy and blessed occasion. Now, let us get to the crux of the matter, the Archbishop and our regional vicar have offered us at Nativity BVM and Bl. Matulaitis, MIC Mission an opportunity to group together for the Renew My Church program. We should be grateful to both of them and grab this opportunity to evangelized and bring the Catholic Faith to more of our sisters and brothers in Chicago and the greater Cook County area. 5pm His Excellency, Archbishop Grucas will present the Divine Mercy film with a discussion to follow. 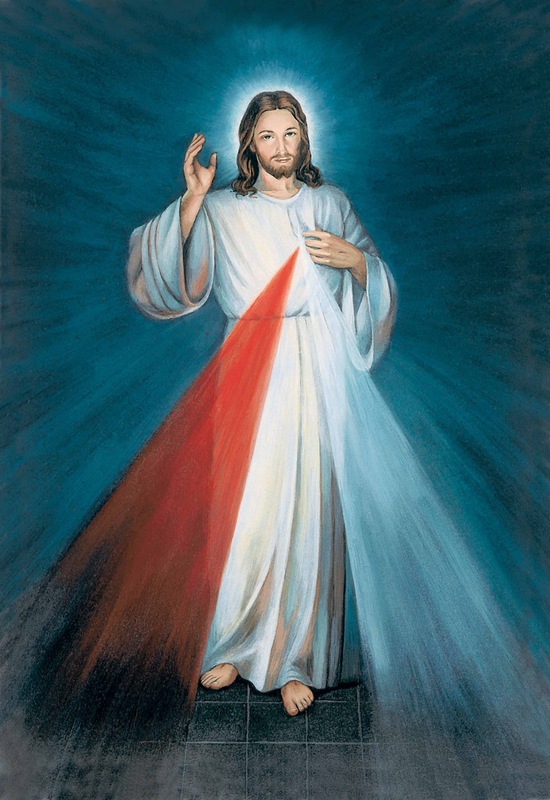 Remember that Saint Faustina Kowalska resided in Vilnius when Our Lord instructed her to have drawn the image of Divine Mercy. 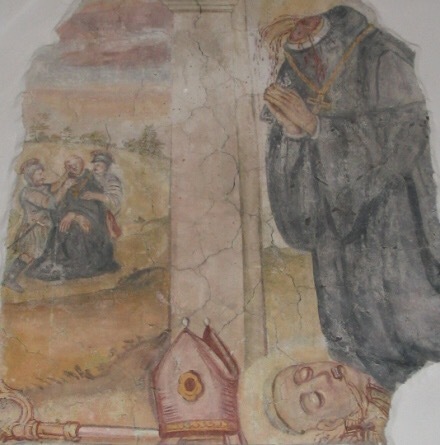 That image is enshrined in a sanctuary chapel in Vilnius. 11am on Sunday, March 13 the Archbishop will celebrate a Solemn Mass in joyful celebration of the life and missionary endeavors of Saint Bruno of Querfurt; a martyr who brought Christianity to Lithuania and the Baltic states. A mosaic crafted by well known artist Ada Sutkus of Beverly Shores, IN and donated by Rima and Dr. Linas Sidrys will be Blessed by Archbishop Grucas and installed in the sanctuary. 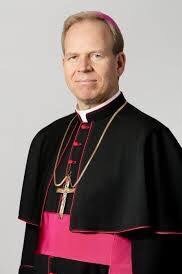 12:30 pm a dinner in honor of the Metropolitan Archbishop of Vilnius will follow with a short program of welcome to our parish community of Nativity BVM here in Chicago’s Marquette Park community. Reservations and information can be had by calling Audra Zakarauskas at the rectory office 773-776-4600. The pastor of Nativity BVM is the Rev. 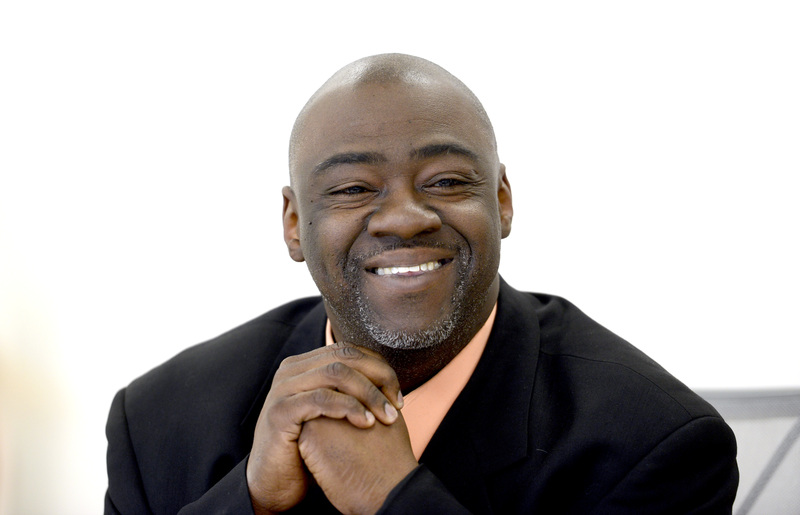 Jaunius Kelpsas; the associate pastor is the Rev. Gediminas Kersys. Alderman Moore represents our ALVUDO, Lithuanian Retirement Apartments at 6500 South California Avenue as well as Catalyst-Maria Schools (Christian Brothers); Saint Casimir Campus (Catholic Charities of the Archdiocese of Chicago); Holy Cross Hospital (Sinai Health System); and Nativity of the Blessed Virgin Mary Parish and Shrine at Lithuanian Plaza Court and Washtenaw. 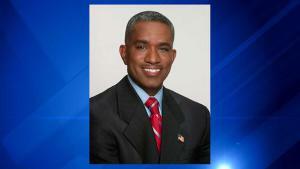 Alderman Curtis represents Seklycia/Lithuanian Human Services on the 2700 block of 71st Street. We are especially proud… because the Alderman holds the rank of Captain in the Illinois Police Reserves (IPR) located in his ward at 2735 West 71st Street. The agenda for our community is all about economic development and how we could become another Andersonville or Ukrainian Village in Marquette Park. We are well familiar with crime on the Southwest Side…and we do remember the greatness of our community in former years. We were so concerned about this issue that back almost twenty years we had an advisory referendum to establish a Special Service Area (14) to address this security issue. The referendum passed overwhelmingly and we started with a robust security team of off duty police in police equipped vehicles to enforce that security. The security officers were to represent the residents and home owners in any complaint procedure…so that they did not have to file a complaint and go to court. The SSA 14 was and is funded by a property tax assessment from residential and commercial property with in the district. A voluntary commission is appointed by the Mayor at the recommendation of the local aldermen. The administrator of the district is Lithuanian Human Services (LHS); the current vendor selected by LHS is Illinois Homeland Security. As I said previously, this has been in operation close to twenty years and with the current economic situation and the property decline through board ups and foreclosures; the security personnel have declined to limited hours… we have only one vehicle with a security officer that is patrolling the area. With every good intention under the new contract; it was proposed to have upgraded vehicles and a bicycle patrol through out the area; this was never implemented. There was an offer by the Illinois Police Reserves (IPR) to the administrator and vendor to offer a voluntary bicycle patrol detail per the contract. These contract issues have never been addressed. But the question begs itself…why the crime in any area that shows so much promise? The Marquette Park Community is situated in an area of Marquette Park…a beautiful park that has an outstanding 18 hole golf course (privately administered). Go down a short distance on Marquette Road or 63rd Street and you will be at Midway International Airport and a growing hotel and restaurant complex with a connection to the CTA’s Orange line… a 20 minute jaunt to the Loop. The Ford City Shopping Mall was recently purchased by a large conglomerate and are currently doing a $20 million dollar renovation…we are 15 minutes from Oak Lawn and Evergreen Park down Southwest Highway…but what about Marquette Park…what do we need is an economic development plan that was used in Logan Square…Bucktown and Lincoln Park. We have a wonderful community hospital… Sinai Health System’s Holy Cross Hospital (equal to Little Company of Mary in Evergreen Park) that has transformed their own Sinai Hospital (adult/children) and Schwab Rehabilitation Hospital to a medical center complex equal to none. With a trauma center that address the most serious of injuries in a modern complex of buildings. There is a future for Holy Cross here in Marquette. The Catalyst/Maria Schools an envisionment of the DeLaSalle Christian Brothers of the Midwest Region brings a necessary concern to education from preschool (Nativity Pre School) to adolescent years. They sponsor Lewis University in Romeoville southwest of Lemont. They also have a full functioning airport on site. From undergraduate to graduate level courses in education or business could be offered in the late afternoon and evening at Catalyst/Maria. The Saint Casimir Campus will now welcome over 200 Catholic Charities employees of the Archdiocese of Chicago…an enormous campus that can also host many organizations and projects of our Lithuanian community from the scouts to the UIC Lithuanian program to the Seniors. But what is most important that we can now deal with is economic development that can be handled in conjunction with the Aldermanic offices of both the 17th and 18th wards. We need to address all of the board ups on Lithuanian Plaza Court and 71st Street. We need new construction with a Red Lobster at 71st and Western (in the vacant parcel); and the beginning of new town home construction on these main streets and the arterial streets. A quick demolition of dangerous buildings. Streets need to be resurfaced. And most importantly construction has to begin with the complex at Marquette Village; and a developer has to be invited by our local aldermen to coordinate the various aspects of the new Marquette Park. You say it is not possible; and I say take a walk through Ukrainian Village at Western and Chicago Avenues…you will change your mind. Again my congratulations to Alderman-Elect Moore and Alderman-Elect Curtis!